He’s back! The world’s favorite superhero, friendly neighborhood Spider-Man, is once again swinging to the silver screen in the much-awaited Marvel blockbuster film, Spider-Man: Homecoming. Baskin-Robbins, the world’s most loved ice cream brand, welcomes him with a celebration featuring amazing promos and special offerings! 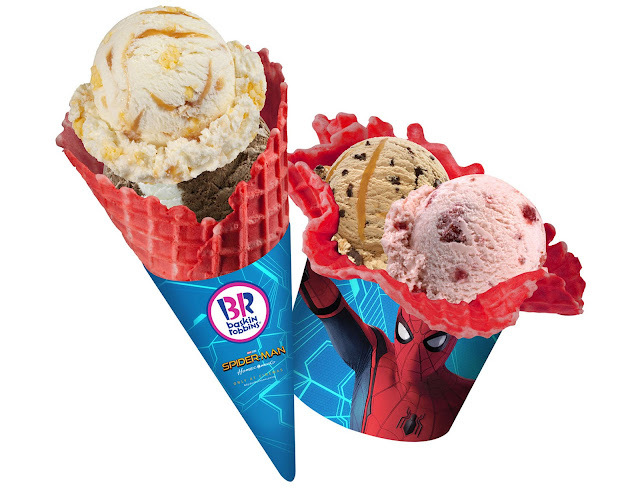 Through this amazing tie-up between Baskin-Robbins and Spider-man: Homecoming, Baskin-Robbins offers a free waffle cone upgrade with every purchase of double value scoop of ice cream! 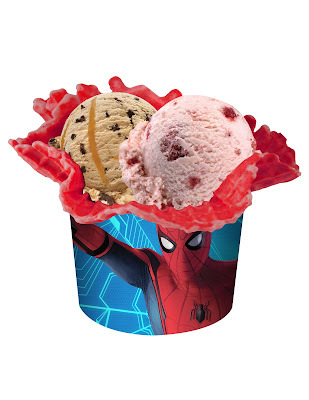 With 17 Baskin-Robbins branches in the metro, Marvel fans and ice cream lovers can also enjoy their favorite Baskin-Robbins ice cream, frozen desserts, cakes and beverages while watching the film. The July Flavor of the Month is also dedicated to the Spider-Man: Homecoming film with Movie Theatre Popcorn, buttered popcorn flavored ice cream with crunch clusters and salted caramel ribbon. The world’s most loved ice cream was founded in California by two ice cream enthusiasts and brothers-in-law who shared a dream to create an innovative ice cream shop that would be a neighborhood gathering place for families everywhere. Over 300 million people visit Baskin-Robbins each year to sample from more than 1,200 flavor creations available in its ice cream library. Baskin-Robbins offers guests around the world a wide range of hard scoop ice cream flavors, along with custom ice cream cakes, delicious frozen beverages, ice cream sundaes and take-home frozen treats. For more information about Baskin-Robbins, log on to www.baskinrobbins.ph or check out their Facebook (facebook.com/baskinrobbinsph), Twitter and Instagram (baskinrobbinsph) accounts. 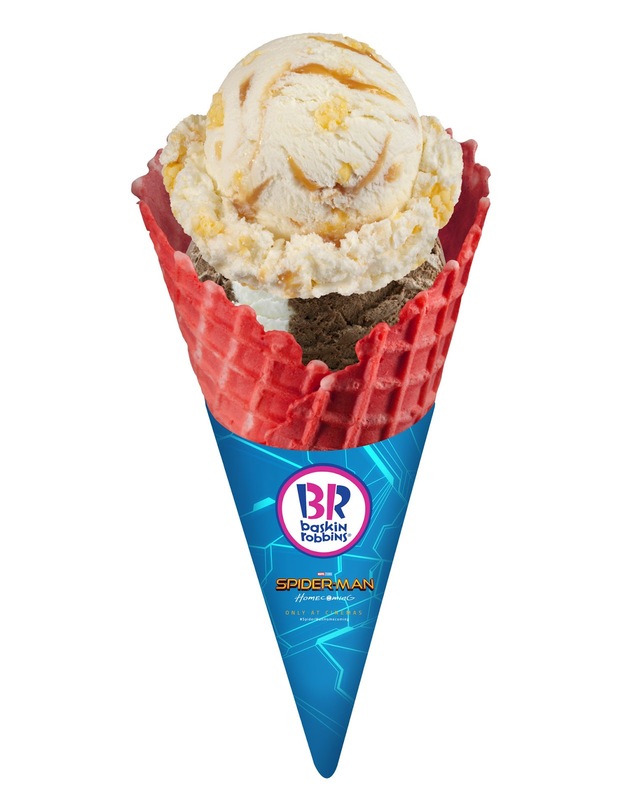 You can also visit other Baskin-Robbins shops nearest you in Baskin Robbins Central Square, Bonifacio High Street, Uptown Place Mall, and SM Aura in Bonifacio Global City; Greenbelt 5, Glorietta 2 and Glorietta 5 in Makati; Ayala Malls the 30th and SM City East Ortigas in Pasig; Fairview Terraces, Trinoma Mall and SM North (Main Building and The Block) in Quezon City; SM Southmall in Las Pinas; Solenad in Sta Rosa, Laguna; SM Dasmariñas in Cavite; and SM Pampanga.